Six years ago, Jason built three raised garden beds in our backyard, and we planted our first garden. It proved to be our most bountiful crop to date – beginner’s luck perhaps – and tomatoes and peppers appeared on the vines for months and months until I was weary of them come October. (Oh, to have the problem now.) The garden project was inspired in part by Barbara Kingsolver’s “Animal, Vegetable, Miracle,” in which she chronicles a year of growing, making and cooking her own food. One chapter discusses making cheese at home, and I overzealously decided I, too, would start making my own cheese. I bought a fancy kit that included everything you needed to make several soft and hard cheeses. I started with mozzarella, supposedly one of the easier cheeses to make. I tried different milks (the less processed and pasteurized the better), but all of my attempts lacked the desired texture and flavor. I never got around to trying any of the hard cheeses after reading they were difficult. Kingsolver herself admits this. Given my lack of success with the mozzarella, I decided to leave the cheese-making to the experts. Today, I’m of the firm mind that, even if you love being in the kitchen, not everything needs to be made from scratch to create an exceptional meal, especially if you have a gaggle of children at your feet — my reality a portion of the day. Shortcuts are welcome and necessary. Dried, canned or fresh beans. Canned tomatoes or fresh tomatoes. Boxed or fresh pasta. We’re all doing our best, yes. Yes. Last year, though, I made mental note of a homemade ricotta recipe circulating magazines and the web because it looked easy, as in no-fail easy. During a trip to Louisville in late 2014, two ricotta dishes inspired me to revisit cheese-making. At The Garage Bar, my friends and I enjoyed an afternoon appetizer of ricotta served alongside roasted beets and bread. At Proof on Main, we ordered a memorable baked ricotta dish topped with fresh horseradish and oregano. Shortly thereafter, I gave ricotta making a go, and I’m a convert. It is easy. You may need to track down two items not currently in your arsenal: cheesecloth and a candy thermometer. But the labor is minimal. 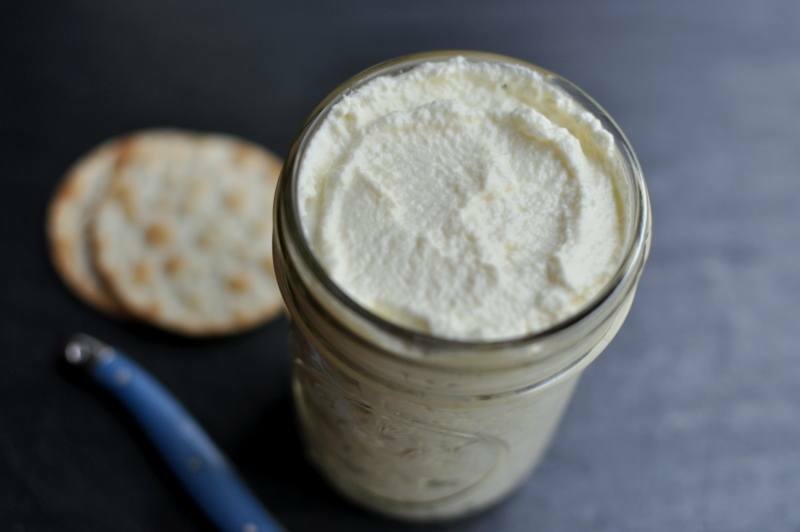 And homemade ricotta, creamy and rich, is a significant step above the preservative-laden, flavorless ricotta you buy at the grocery store. Below you’ll find a recipe for homemade ricotta as well as a simple but lovely baked rictotta dish from one of my favorite cookbooks, “Sunday Suppers at Lucques.” If you’re looking for further inspiration, April’s Saveur Magazine has several eye-catching ricotta gnocchi recipes, including the stunning cover featuring ruby-red gnocchi made with beets and ricotta. To have enough ricotta to make the baked ricotta dish (listed second), you will need to double the homemade ricotta recipe... in which case, use a very large pot. Note: Cheesecloth is stocked in most grocery stores. I've found it in the kitchen equipment aisle as well as the cleaning supplies aisle. Add the milk, cream and salt to a nonreactive saucepan attached with a candy thermometer. Heat the milk to 190 degrees F, stirring occasionally. Remove from heat and add the lemon juice, stirring gently once. Let the pan sit undisturbed for five minutes. Line a colander with several layers of cheesecloth and place it on top of a large bowl (to catch the whey). Pour the mixture into the colander and let the curds strain for 90 minutes. The whey can be discarded or saved, if desired, for various purposes, including pizza dough (substitute for water in your favorite pizza dough recipe). 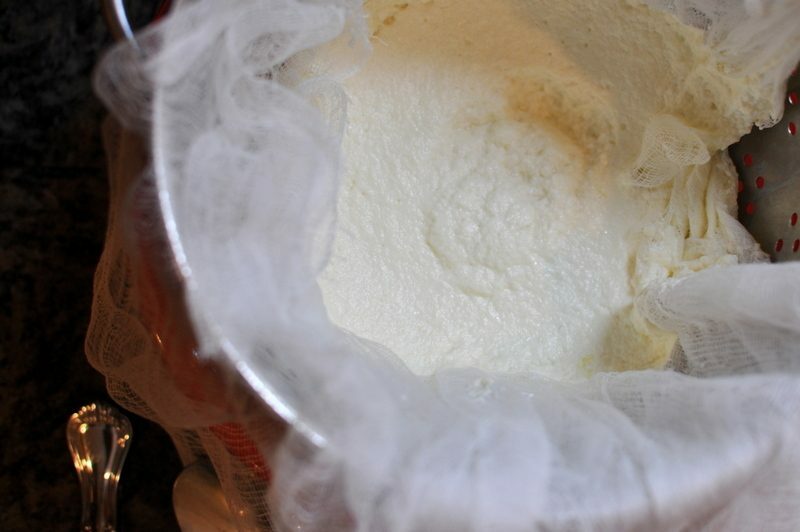 The ricotta can be enjoyed immediately or stored in the refrigerator for up to four days. 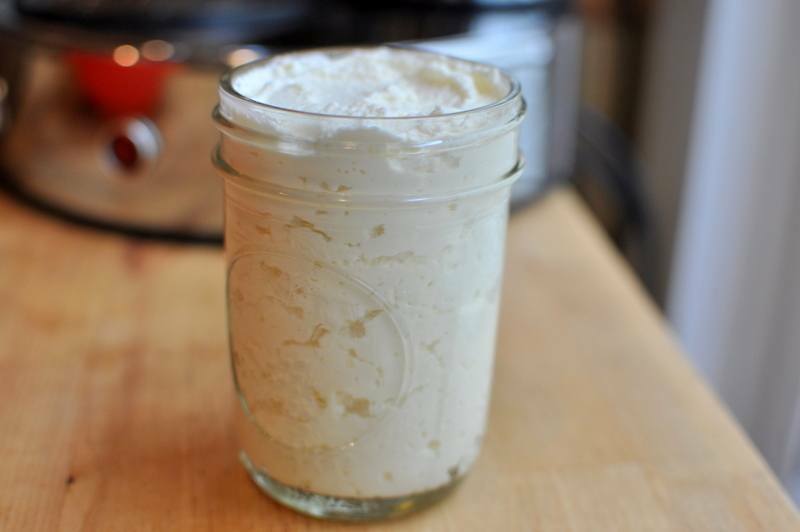 Makes approximately 1 cup ricotta. Preheat the oven to 400 degrees F. In a large bowl, mix together the ricotta, 3 tablespoons olive oil, parsley, 1 teaspoon thyme, ¼ teaspoon cayenne pepper, ½ teaspoon salt and ¼ teaspoon pepper. Transfer the mixture to an 8-inch casserole dish. Gently press the top of the cheese with your fingertips to create indentations. Sprinkle the remaining thyme on top. Drizzle the remaining tablespoon of olive oil on top. Bake for 30-40 minutes until golden brown. Serve alongside crackers as an appetizer, or (per Sunday Suppers at Lucques) as a side dish to steak. Adapted from Smitten Kitchen, Sunday Suppers at Lucques and other sources.